Our Twin Cities online strategy professionals have experience working with a number of the largest e-commerce websites and small businesses. We specialize in consulting for companies throughout Minnesota and the United States. Whether big or small, we know how to provide the guidance you need to help you obtain your Internet marketing goals. 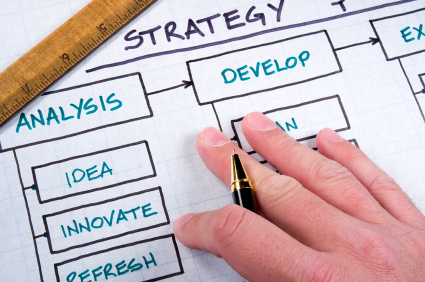 What can an Online Strategy do for you? Online strategy is often disregarded by businesses. For example, businesses often spend time and resources in creating a marketing or HR department. However, many organizations do not have a formal strategy for profiting online with Internet marketing and SEO solutions. An online strategy views how to use the Internet to maximize benefits across all areas of business which include sales, recruiting, and finance. In today’s corporate business environment, businesses often neglect opportunities to improve their profitability simply by embracing the web. The Internet is a relatively new conduit that is consistently evolving toward improved profitability. Most business administrators simply do not have the know-how (or even the time to find that knowledge) to visualize how the world-wide-web can substantially affect the profitability of their enterprise. Minnesota Interactive can consult with your business to identify methods for increasing the amount of relevant targeted traffic on your website. Minnesota Interactive helps businesses and organizations in driving continual web traffic to your site by understanding your customers and implementing methods that will compel this target audience to your web site on a regular basis. If a business wishes to grow by generating additional sales through the web, then consider hiring Minnesota Interactive to evaluate your Twin Cities online strategy options, create recommendations, as well as implement strategies to achieve current listings for your company online.